China’s BeiDou will accelerate the pace of its development, even as the world’s other three GNSS systems are experiencing delays and difficulties, according to speakers in the opening session of the China Satellite Navigation Conference (CSNC 2014) today (May 21) in Nanjing. 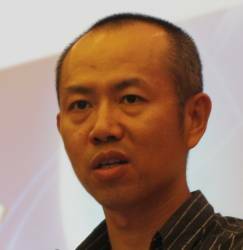 Ran Chengqi, director of the China Satellite Navigation Office, announced that with the launch of a new generation of satellites beginning next year, BeiDou expects to complete its planned Phase III several years ahead of schedule — by 2017 rather than 2020. 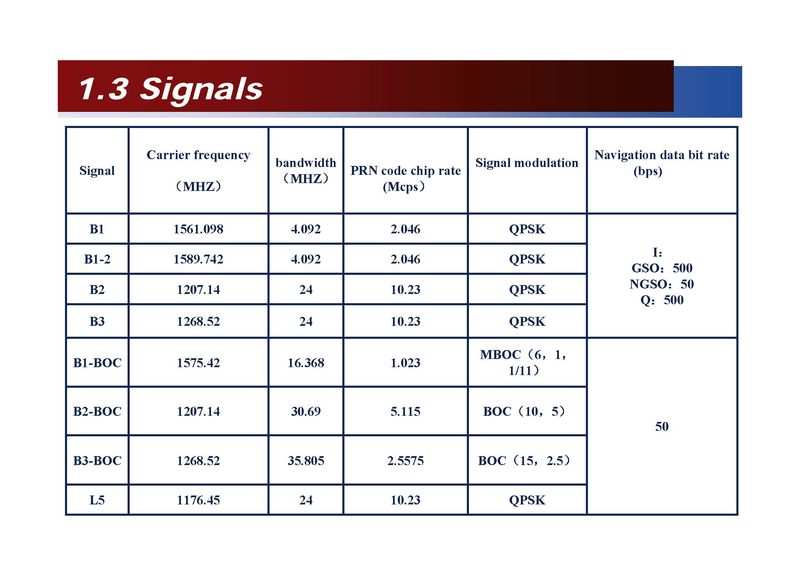 BeiDou Phase III includes the migration of its civil Beidou 1 or B1 signal from 1561.098 MHz to a frequency centered at 1575.42 MHz — the same as the GPS L1 and Galileo E1 civil signals — and its transformation from a quadrature phase shift keying (QPSK) modulation to a multiplexed binary offset carrier (MBOC) modulation similar to the future GPS L1C and Galileo’s E1. The faster completion of China’s GNSS seems less surprising in the context of its rapid development of its ground and space segment since announcing BeiDou in 2007. Meanwhile, launch of the first GPS III satellite with the L1C signal will not occur until 2016, and completion of the next-generation operational control segment (OCX) is now slated for 2017, a couple of years later than originally planned. And Galileo has reduced its expectations for launch of its full operational capability (FOC) satellites to four by the end of this year, with the first launch date slipping from June to August and the second now expected in the November/December timeframe. In a brief update on Russia’s GNSS, Sergey Karutin, head of the GLONASS PNT Information and Analysis Center, said GLONASS an interface control document (ICD) will be published this year describing the “full family of CDMA signals in all three [frequency] bands” that will be broadcast as part of the system’s modernization. One of those bands will be centered at the same 1572.42 MHz slot as GPS L1, Galileo E1, and Phase III BeiDou B1, while the legacy FDMA signals will continue in a relatively wide swath of spectrum at 1602 MHz and higher. The second GLONASS K1 satellite will launch before the end of this year and the first of the K2 generation that will transmit the CDMA signals is now in production, Karutin said. David Turner, deputy director of the U.S. State Department’s Office of Space and Advanced Technology, reported that the United States and China had established a bilateral working group on GNSS cooperation as one of the outcomes of a meeting of delegations from the two countries in Beijing on Monday (May 19, 2014). The working group will address such issues as civil service provision issues such as interoperability, service monitoring, interference detection, spectrum protection, and civil aviation applications.